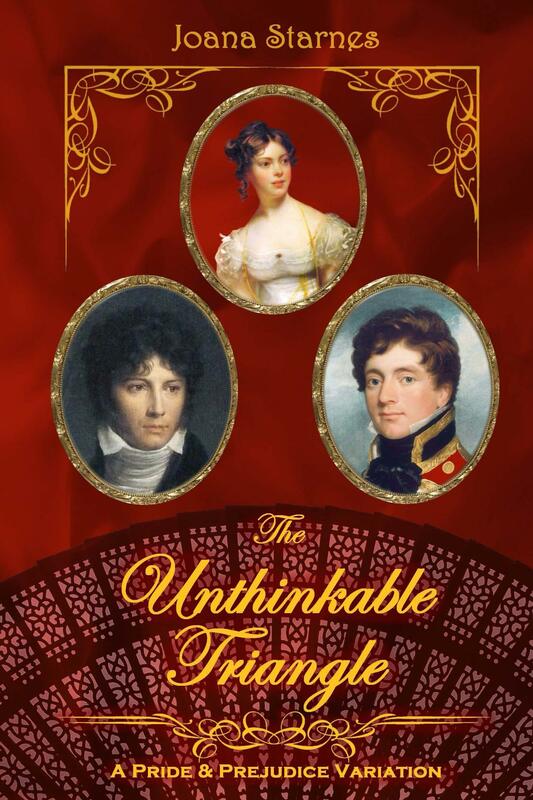 As many of you noticed, From Pemberley to Milton was part of Joana Starnes blog tour for her latest novel The Unthinkable Triangle with a guest post, review and giveaway!!! Today this blog will bring happy news to one lucky winner, but before announcing the lucky one, I would like to thank all who participated, shared and supported this initiative. I’ve come to realise the JAFF community is one of the warmest and friendlier communities online and being a part of Joana’s blog tour showed me just that. Thank you all for your participation and support! I would also like to give a very special and very big thank you to Joana Starnes for writting such a wonderful book, for visiting this blog, for being so nice to everyone here and of course, for making this giveaway possible! I was very happy to welcome you as the first author with a guest post in From Pemberley to Milton and I hope to receive you again in the future Joana. Thank you so much for everything! Please send me your e-mail address to ritaluzdeodato at gmail dot com so that we can send you your prize. Thank YOU, Rita, for the wonderful welcome, the fabulous review and for a chance to spend such a happy time at ‘From Pemberley to Milton’. The pleasure and honour were all mine and I’d be absolutely delighted to visit you again. Congrats, Sonia, great to hear you’re the winner and I hope you’ll like the story. Huge thanks to everyone who visited and commented, your kind comments were much appreciated. All the very best to you all! And a big THANK YOU to Mrs Joana Starnes for her generosity – and especially her work! I look forward for a good read and sharing my thoughts about the book soon!